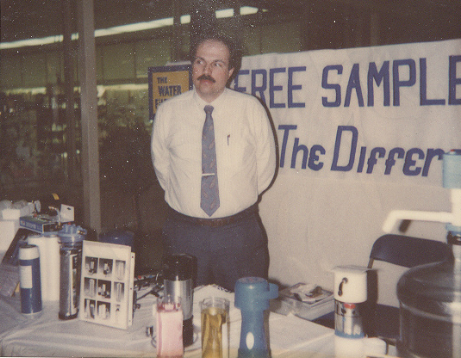 My wife and I established Water Filter Company in 1986 as a family owned and operated business dedicated to providing safe water to families. Starting with just a few core products, we have quietly now grown to be Rhode Island’s most comprehensive certified water quality solutions source, carrying nearly everything your water could need. We are extremely proud of how we have helped thousands enjoy safer cleaner water. It’s so important for people to understand that Filtration is our only business. It’s not a “me too” sideline to another primary business of selling lumber, well drilling, pump repair, plumbing, HVAC, big box retail store, multi-level marketing, on line sales or whatever. Filtration is all we focus on every day …all day. You just cannot be all things to everything and do everything well. We know what works and why…and what does not work and why. That is why we custom assemble filtration systems to as closely as possible match the user’s needs and why we only service what we sell. Because filtration is all we do, our filtration knowledge is up to date and current. Although not required by state law…I mandated that my service staff become certified professionals by earning their Water Quality Association certifications. This is our industries benchmark for water treatment professionals and is a recognized achievement to earn these certifications. We are the first in R.I. to voluntarily earn these certifications. I have earned and hold the level of Master Water Specialist — one of a handful in New England that has achieved this certification level. My WQA certified service technicians have over four decades of experience between them. We also have countless hours of factory training on all products we sell and service. I want my customers to have total confidence in who is working on their water treatment systems. Our filters are different too. Water Filter Company does not sell one-size-fits-all systems. Virtually all others do. The operational and filtration abilities of pre-built systems have already been determined . . . before your needs have been discovered. Imagine forcing everyone to drive the exact same vehicle or every woman to wear the same size 7 dress. Because individual Water quality problems, water usage rates, flow rates, pressure, contamination issues, water quality problems, and other elements vary substantially, matching the equipment to the individual’s needs is crucial — and it is what we do. 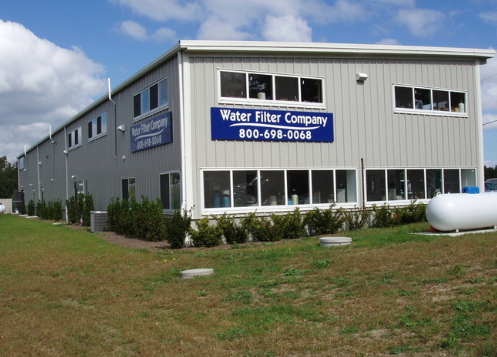 At Water Filter Company you get exactly what you need; no more, no less. If you want it done right the first time, we are simply the better value. We still conduct business the old fashion way. When you call you speak with real people. Our staff has been with us for years and we get to know you by name. When you call, we take the time to listen to your concerns and ask questions to understand your individual water quality problems. We then assess all aspects of your water quality challenges and guide you into the right system for your needs. Our no pressure approach gives our customers better value, by having the time to provide them with a solution that is tailored to their needs. Your filtration system will be challenged to produce safe clean water for years to come. You have a lot riding on it. We take that responsibility very seriously. We will prove why we are different if given the chance. As owners of Water Filter Company we are extremely proud of what we have accomplished, our levels of employee professionalism and how we have helped earn the trust of so many…one at a time. We’d love you to become part of our family of satisfied customers and enjoy the same levels of water quality as we do in our own home.